This species was formerly classified as Colestethus talamancae. These small frogs looked like typical poison frogs, which tend to walk or make short little hops in the manner of toads. 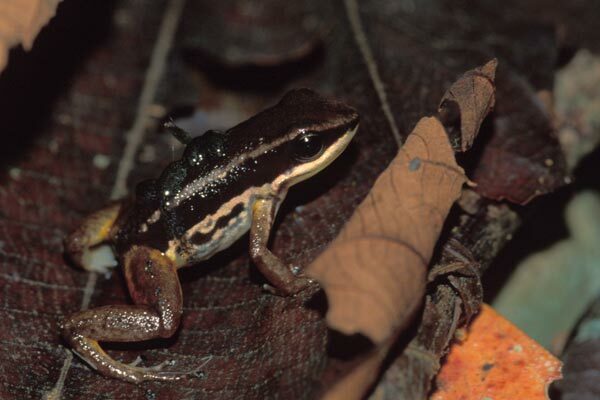 But Allobates talamancae isn't called a "Rocket Frog" for nothing -- they can jump much further than you would expect from their size and shape. 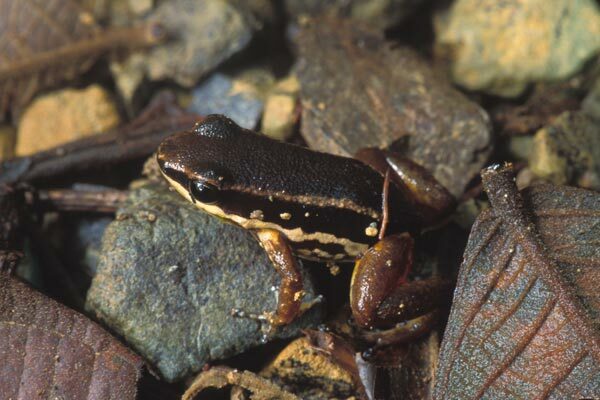 Adult males of this species carry around the tadpoles on their backs until they turn into little froglets. The second photo here shows an adult male with a few little tadpoles on its back. I had originally identified these frogs as Silverstoneia nubicola (aka Colestethus nubicola), but I changed my mind after looking again at the photos with more references available.